What FUN! Level of engagement was at an all-time high today with Box of Lies Hangout. A great idea developed by Jen Aston, Box of Lies #fslbeyond Hangout encompasses critical thinking, spontaneous use of the target language and tremendous motivation. I modeled this game with a few students in class, which immediately sparked their interest! 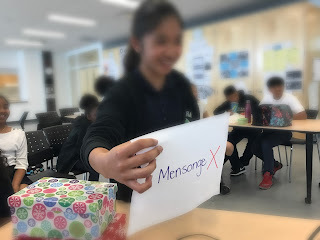 Students started bringing in odd and interesting items for our boxes and we created anchor charts with what we thought could be useful vocabulary and expressions when playing the game live. 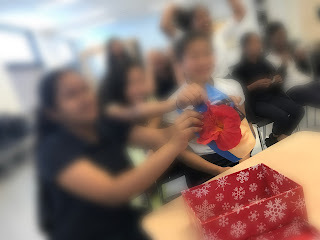 Our goal was to play with other schools via webcam online and, of course, to win! Students brainstormed possible lies as well as questions they could ask to dig deeper into the truth... or suspected lies. 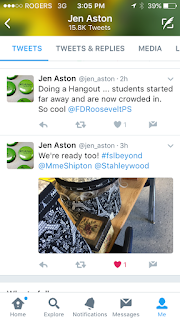 I connected with interested educators via Twitter and we compared classes and schedules. This is the tricky part. As FSL teachers with a range of grade levels and periods in a day, finding someone with a similar timetable or shifting around timetables to accommodate a Hangout can prove to be difficult. That being said, it's definitely worth it! We set up out laptops, projectors, speakers and boxes in anticipation. We also sent a few teasing Tweets to keep things interesting. We start with introductions, welcoming each other to our schools and then the games begin! Teachers played a quick rock-paper-scissors to determine a starting school and we lost. 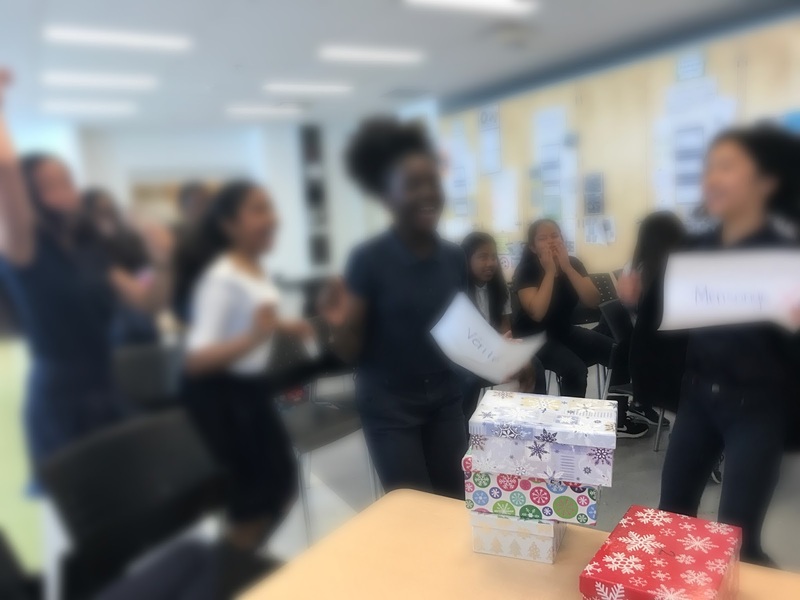 Schools took turns inviting students to open boxes and describe what's inside. 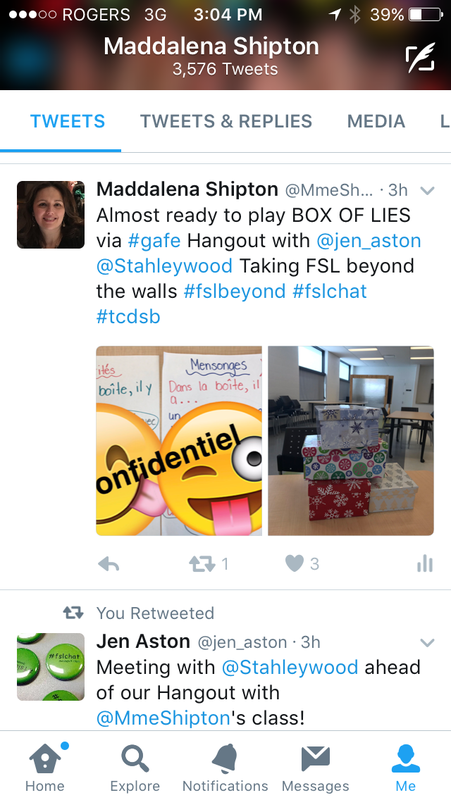 Students decided if they were going to tell the truth or lie. The opposing school used the target language to ask questions to clarify and check for telling facial expressions or gestures. Then we voted! "C'est un masque de Batman avec une grande fleur rouge." Box of Lies proved to be a very rich, action-oriented task.